Episode #24 – Zizek’s Pervert’s Guide Movies and Room 237 | That's a Wrap! Nick and Erik tackle Zizek’s The Pervert’s Guide to Ideology and The Shining documentary Room 237 as two opposite sides of the spectrum of criticism. Is one form of analysis privileged over another? Should it be? Tune in and let us know! I personally don’t find a lot of intellectual meat in Zizek. Once you strip away the posturing and jargon, I find little of worth there. I don’t want to elaborate on most of my objections (frankly I’m too lazy to do that right now) and I’ll admit I just have a healthy skepticism toward Lacan and related approaches anyway. 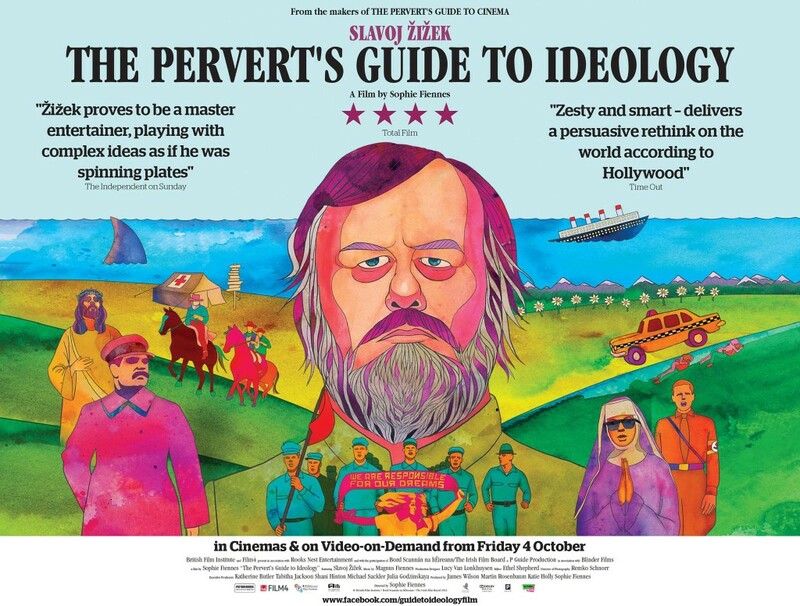 Pervert’s Guide to Ideology is definitely his most approachable product, but I think it also reveals just how weak a lot of his work is, particularly in film, a medium I don’t think he really understands. His discussion of “They Live” actually seems especially weak to me. What interesting or insightful thing does he have to say that wouldn’t be obvious to a reasonably intelligent high school student? Or consider his analysis of “The Dark Knight” where his main point is more-or-less lifted from the the character’s dialogue. When his remarks aren’t trivial, they seem to best exemplify Deleuze critique of Hegelian negation. I wonder if Zizek is more mainstream in part because some of this observations are more or less obvious, and therefore more palatable for a more general audience. As to the efficacy of Lacanian approaches, I agree that there is only so much that can be done, and most of it has been done already. That said, I enjoy watching Zizek, even if I don’t read most of his work anymore. I don’t think Room 237 is exploitative, nor does it endorse any of the interpreters. I look it at more as a celebration of film fandom, even when it moves into the obsessive. I wouldn’t recommend it, frankly, but not because it’s exploitative, but because the interpretations are not particularly persuasive. I have to agree with our listener, Erik, and with host Erik, with points on Zizek. I don’t think Zizek really gets film from a myriad of viewpoints and lenses. He’s fairly dogmatically psychoanalytic. He’s fun and opens a world of ideas up to viewers who have tended to view film as, mostly, entertainment. Room 237 is fascinating. Very very far away from Direct Cinema or Verite approaches. It’s mostly expository (in the Nichols sense). I don’t recommend it either, but it paired (like a fine wine) with our discussion on Zizek. Thanks for your comments Listener Erik!! Just as you were recording your Zizek podcast, Zizek found himself in the middle of a plagiarism controversy that began when a blogger noticed that a passage in one of his books was unusually clear and easy-to-understand. It turns out that the passage had been lifted from someone else. Perhaps you’ll have time to share your thoughts on this (and/or on plagiarism generally) in the next podcast.